Stellar Four: WTF?! Did Megan Slip Into the Torchwood Universe? WTF?! 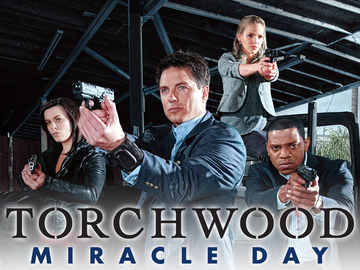 Did Megan Slip Into the Torchwood Universe? Do you ever get the feeling you've slipped into an alternate dimension? Like what you're seeing with your own eyes can't possibly be real because it defies all logic? That's what I felt like when I got home tonight and found a real letter addressed to me that could have been straight out of Torchwood: Miracle Day. WIN A PREPAID CREMATION? WHAT? ARE YOU KIDDING ME? "For a variety of reasons, more and more people are choosing to plan for a memorialized cremation over traditional funeral arrangement [sic] -- and the numbers are increasing every year!" Because Miracle Day happened and no one is truly dying? There are so many bodies piling up that families are crossing their fingers hoping to win a free cremation? WHAT IS GOING ON HERE? By the way, the contest slip was all filled out for me. How thoughtful. This is one of those O.o moments. May as well send in your slip, in that case. I know I don't want to be left footing your cremation bill. Sophie- What's family for if not to pay for one's interment?